Dee made several appearances on Broadway before receiving national recognition for her role in The Jackie Robinson Story. Other movies included No Way Out, St. Louis Blues, and Buck and the Preacher. On stage, Ruby had roles in South Pacific, Arsenic and Old Lace, King Lear, The Taming of the Shrew, Hamlet, Bus Stop, The Glass Menagerie, and the original production of A Raisin in the Sun. On television, she appeared in The Fugitive, Peyton Place, Police Woman, and The Golden Girls. She was a cast member on The Guiding Light and the mini-series, Roots: The Next Generation. 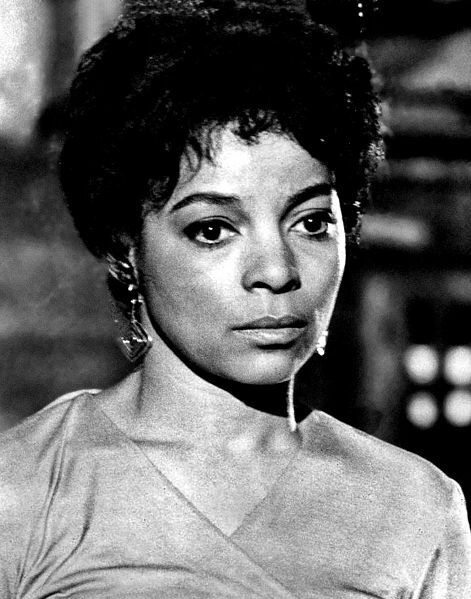 Ruby Dee and Ossie Davis were well-known civil rights activists. She was a member of the Congress of Racial Equality, NAACP, and Southern Christian Leadership Conference. Dee and Davis were both personal friends of both Martin Luther King Jr. and Malcolm X, with Davis giving the eulogy at Malcolm X’s funeral in 1965. Dee was awarded – along with her late husband – the Lifetime Achievement Freedom Award, presented by the National Civil Rights Museum in Memphis. In 1995, she and Davis were awarded the National Medal of Arts. They were also recipients of the Kennedy Center Honors in 2004. She received an Honorary Degree from Princeton University. In 1998, the pair celebrated their 50th wedding anniversary, and an even longer association in show business with the publication of their autobiography, With Ossie and Ruby: In This Life Together. Davis died in February 2005. Among those who mourned at his funeral included former President Bill Clinton, Harry Belafonte and Spike Lee. This entry was posted on Thursday, June 12th, 2014 at 11:50 am	and is filed under Blog by Manny Pacheco. You can follow any comments to this post through the RSS 2.0 feed. Responses are currently closed, but you can trackback from your own site.